Seriously-butts are the funniest. 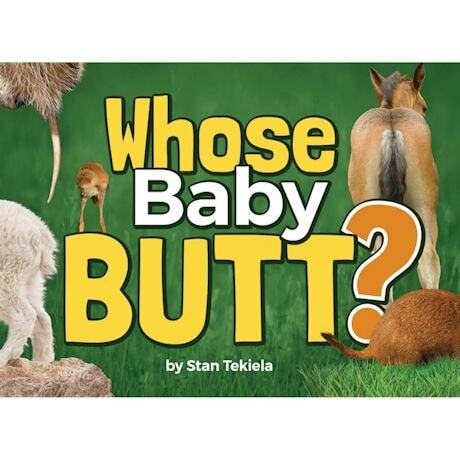 These books are beloved by little ones and adults alike, hilariously challenging the reader to identify an animal by its posterior; laughout- loud photography is from an awardwinning wildlife photographer who has a knack for catching animals in ridiculous poses. Hardcover; 48 pages.